This book is available to buy now! I have such a treat for you today. Not just one, but three author interviews! Robin Helm, Laura Hile and Wendi Sotis join us for an interview. A: My friend, Laura Hile, suggested I go back and look at my earlier one-shots and short stories for ideas. I realized I could make them into dreams to drive the story. Q: Did you have any goals for this book when you wrote it — to get published, or just to finish, etc.? 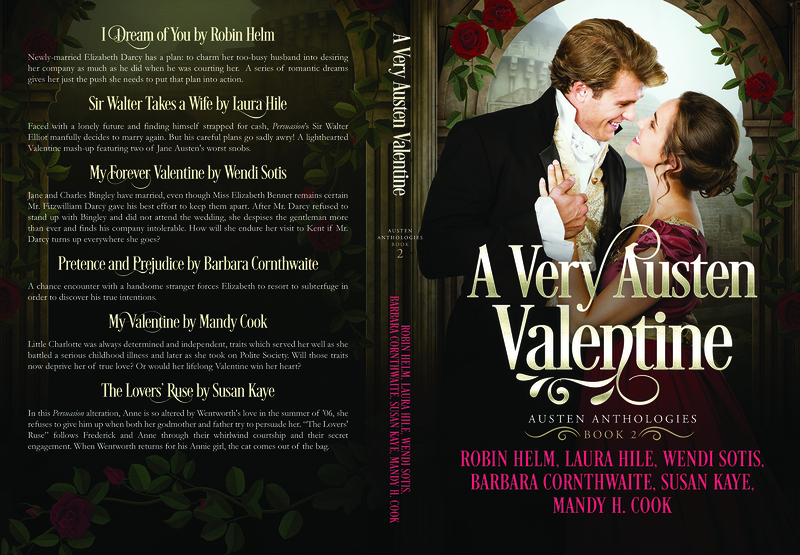 A: Yes, “I Dream of You” was written specifically for A Very Austen Valentine: Austen Anthologies, Book 2. I had already published eight books when I wrote it. A: I was making up stories nearly as soon as I could talk, and my mother encouraged it. She kept daily journals for many, many years, and she wrote a book. One day, I will publish it. I published a poem when I was very young, and I distinctly remember my second grade teacher calling me to the front of the room on numerous occasions to entertain my classmates with tales I made up as I went. 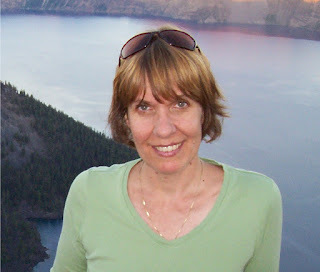 After I retired from teaching school full-time, I began to write. My first three books (The Guardian Trilogy: Guardian, SoulFire, and Legacy) were the stories I felt compelled to tell. It was as if I had to write those before I could write anything else. My second series (Yours by Design series: Accidentally Yours, Sincerely Yours, and Forever Yours) a Regency/Contemporary time swap, addressed my love of science fiction and fantasy. Understanding Elizabeth, a Regency Romance, was my first standalone. 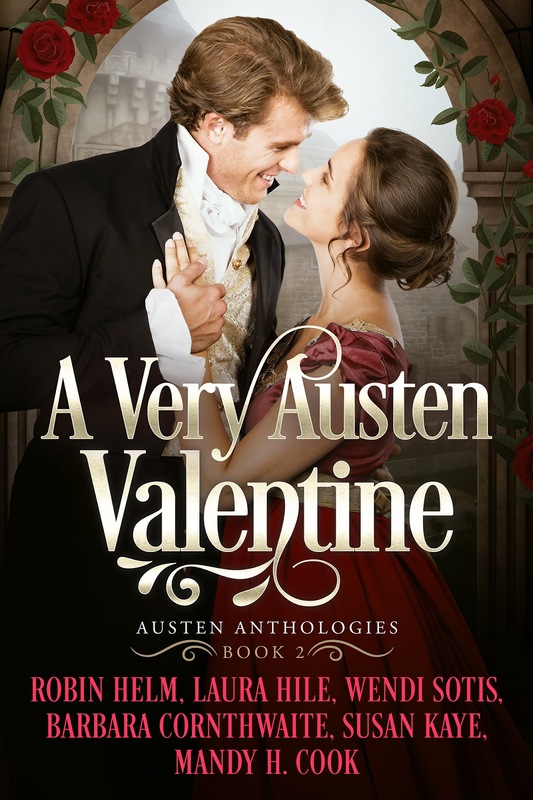 The two books of the Austen Anthologies series (A Very Austen Christmas and A Very Austen Valentine) were born of my desire to produce books with like-minded friends who were also authors. We hope to collaborate on at least three more anthologies. A: I have so many favorites, it’s hard to say. 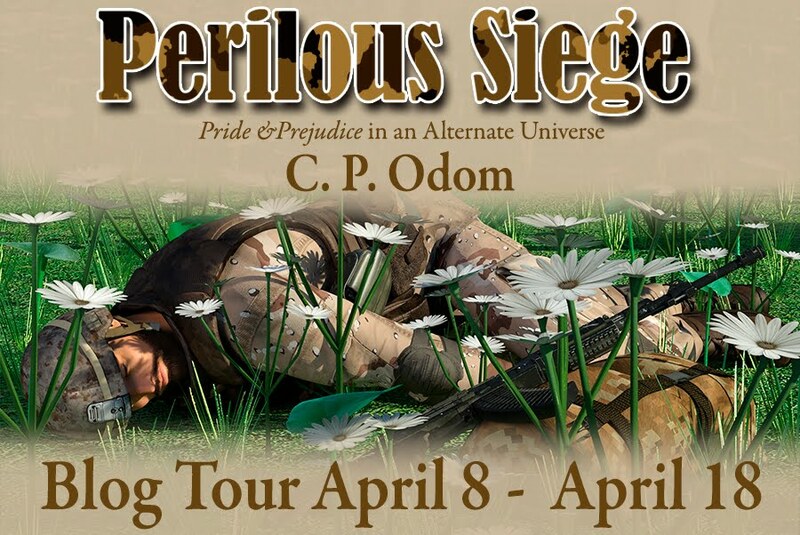 Certainly Frank Peretti and Jane Austen influenced my first three books. I know that seems to be a strange pairing. C.S. Lewis, J.R.R. Tolkien, Ray Bradbury, Madeleine L’Engle (A Wrinkle in Time), H.G. Wells, Mark Twain, Isaac Asimov, and Jules Verne probably guided me to time travel and fantasy. I also have a fascination with all things Star Trek and Star Wars. However, Jane Austen and the Bible have certainly been the biggest influences on me in everything I have written so far. Tell us a little about your background as a writer. I began writing Jane Austen fiction when the Internet was young—does anyone remember the Republic of Pemberley’s “Bits of Ivory” storyboard? Even in those early days, I had a fondness for telling stories that were fun and a little off the beaten track. My “Freaky Friday” Darcy By Any Other Name has long roots! In my first published novel, the multi-volume Mercy’s Embrace, I took on Jane Austen’s arrogant Elizabeth Elliot from Persuasion. As I wrote and posted installments, she dominated every scene. 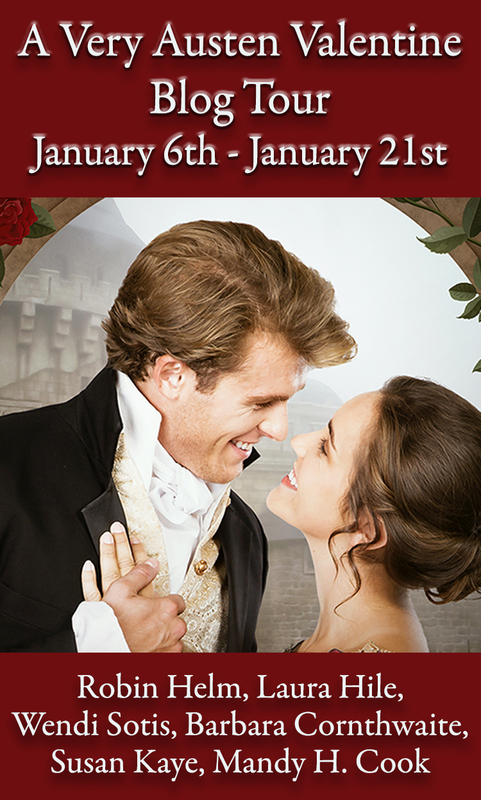 I soon realized that the beautiful Miss Elliot makes the perfect Regency heroine: spirited, opinionated, and best of all, desperate. Desperate lends itself to all kinds of storytelling fun. Then too, this “Other Elizabeth” is not quite as smart as she thinks. Better and better, right? Mercy’s Embrace brought me into contact with Persuasion’s outrageous snob, Sir Walter Elliot. He, along with whiney Mary Musgrove, proved invaluable as comic relief. 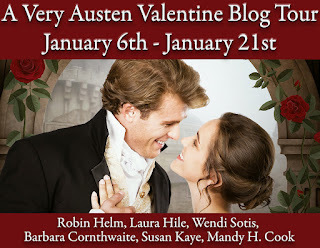 Which brings me to Sir Walter Takes a Wife, my comical contribution to A Very Austen Valentine. Because everyone needs a laugh. Even on Valentine’s Day. A good ten years ago the idea for this “romantic” mash-up presented itself. (Don’t worry, Sir Walter Takes a Wife, like everything in our anthology, is a clean read!) Who better to court The-Lady-We-Love-To-Hate than the equally-prideful (but always broke) Sir Walter? That story has waited until now to come to life. I think you’ll enjoy it. Favorite authors include the much-loved Golden Age “Queens of Crime” from the 1920s and 30s: Agatha Christie, Dorothy L. Sayers, and Ngaio Marsh. My Regency novels favor the lighthearted style of another favorite, Georgette Heyer. 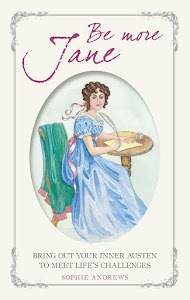 Other authors I enjoy (in addition to Jane Austen) are Charlotte Bronte, C.S. Lewis, J.R.R. Tolkien, and Ralph McInerny. Share with us a brief bio. I also like gardening, but when I unearthed a wasps’ nest I discovered that I am deathly allergic. So outdoor activities, like hiking, have been somewhat curtailed. You might like to know that my lavender garden continues to flourish. I’ve learned that bees “drunk” on nectar do not sting. Because I am an idealist, I teach at a Christian school for rather less money. So writing is both my hobby and my long-term retirement plan! I teach middle school (12-year-olds), all subjects. This means that I am tired most of the time! In other words, I write slowly. In the works is a Pride and Prejudice romantic romp called As Only Mr. Darcy Can. No body-swaps in this one! However, it packs a few surprises that I think you will enjoy. Look for it later in 2019. Wendi: Thank you for having me today. It’s a true pleasure! 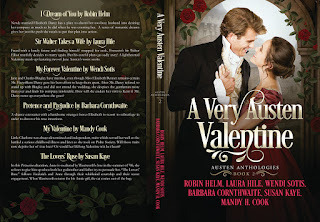 A: When we decided the theme of this anthology to be Valentine’s Day, I started doing research on Valentine’s Day in Regency times. I found two “Valentine Writer” books had been reprinted, one from 1780 and the other from 1794, which had a number of valentine verses listed out to give young men and maidens ideas as to what they should write to their valentines. Everything else just filled in around that idea. A: Last year, Robin Helm, Laura Hile, Barbara Cornthwaite and I had decided to publish several anthologies together, and including other guest-authors’ stories as we go along. 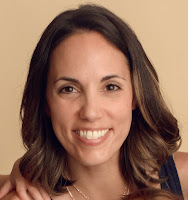 A: I wrote some as a child and teen – my life’s goals were to have children and to see my name on a card from the card-catalog at my local library. With the latter in mind, I took a creative writing class in college. The professor told me not to bother writing any more. His words shattered my dream, and crushed the tiny bit of confidence I had about my writing. I didn't write again for many years. Twenty-six years later, I found Jane Austen Fanfiction forums online and couldn't get enough of reading the stories I found there. I kept coming up with story ideas, but my confidence was still zero. One morning I woke up from an especially good story-idea-dream and said, "I'm going to write this myself!" You have no idea how much courage it took to actually post that story on the forum, but to my surprise, people liked it! :-) I haven't stopped writing since. 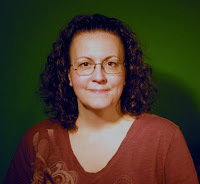 A writer writes, and author is published. I call myself an “Accidental Author.” One year, I tried NaNoWriMo (National Novel Writing Month). The “prize” for managing to write 50,000 words in 30 days was a handful of print books. I wanted to hold a bound copy of my story in my hands. I wanted my triplets to have something they could pass down to their children. And maybe, just maybe, I’d have enough copies printed to donate one to the local library and see my name in the (now electronic) card-catalog at the library after all. As I was preparing the document to have it printed, Gayle Mills and Robin Helm talked me into making it available to the public as a print book and ebook. Since I wasn’t expecting anyone to purchase it, I figured there was no possibility of being disappointed, so I did it. I still get all choked up when I think about the surprise and the honor I felt when people actually bought the book! A: If you haven’t already guessed, Jane Austen has been a huge influence! I read so many authors, I couldn’t possibly list them all here. 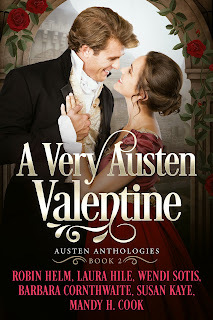 I enjoy Austen-inspired romances, historical or contemporary, though while I’m writing one, I usually don’t read them in the same time period. 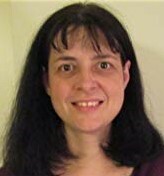 I read romance, suspense, mysteries, paranormal, and thrillers, historical or contemporary. I especially like if there are several of these genres mixed together. Q: Could you describe the mundane details of writing: How many hours a day to you devote to writing? Do you write a draft on paper or at a keyboard (typewriter or computer)? A: I’ve tried dictating but my writer’s-brain doesn’t seem to be hooked up to my mouth ;-) I used to write on paper, but I enjoy the computer keyboard much better. I haven’t been writing as many hours a week as I’d like lately, but for 2019 my plan includes writing 25+ hours a week. A: I do whenever possible. Q: Do you meet your readers at book signings, conventions, or similar events? A: No, I don’t. I’m too shy! I’d never be able to get up in front of people. I’m also dyslexic and cannot read aloud, so book readings could never happen. Q: Aren’t writers supposed to be solitary? A: I am – big time – but I know quite a few writers who aren’t. Q: What’s the worst job you’ve had? A: I once worked in a large building. The office directly under us had at least one bomb-threat a month. The police and fire departments would evacuate the building every time, since they felt one day the threat might actually be real. Well, one day, the owner of the company I worked for got tired of his staff spending hours away from work and refused to allow us to evacuate. In my opinion, he had no right to decide for us that it was not a real threat, and there was no way I was going to be injured or die for that job, so I listened to the authorities and left anyway. The rest of the office rose and followed me out the door. That didn’t put me very high on the list of my boss’s good graces! Suddenly, my job included making collection calls. I wasn’t very good at it; I kept giving everyone more time. I believe the goal was to get me to quit. It worked! Q: Are you planning to adapt any of your stories to the screen? A: Believe it or not, I’ve had several requests to do just that, but I’ve not thought about actually doing it. It would be fun, though! A: Characters, because they usually end up taking the plot in a direction I didn’t intend, and that usually works a lot better than what I’d plotted out. You’d think they’d follow my commands, but it’s not always so. It’s a very strange feeling when they don’t want to do what I tell them to do! Amazon Author Page • Website: Jane Started It! 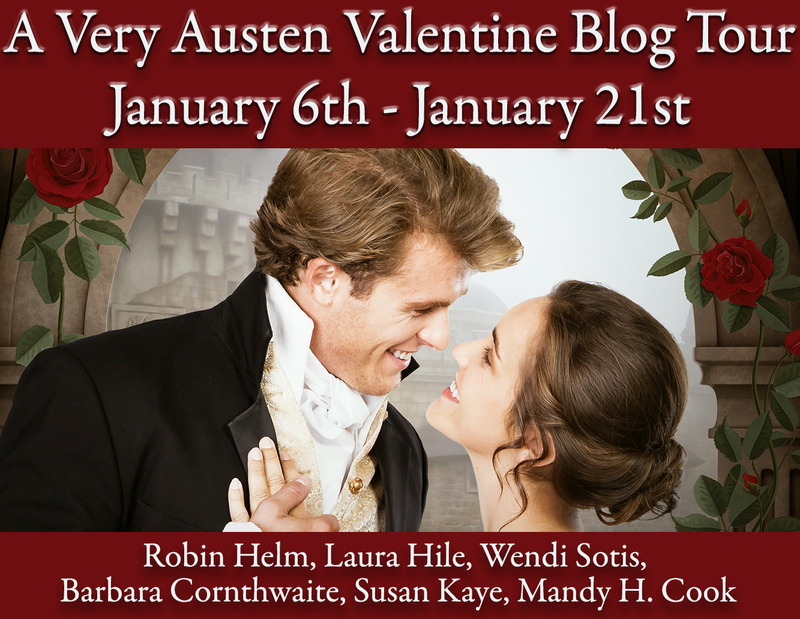 There are 10 ebooks of A Very Austen Valentine, open to international entrants, and 1 paperback, which is open to US entrants. To be in with a chance of winning the prize, please use the rafflecopter. Enjoyed the interviews. Thanks for the giveaway! I enjoyed the interviews as well. There are always new things to learn -- like Wendi's "bomb-threat building"! Good luck in the giveaway, darcybennet. Hi, Darcybennett. Good to see you! Thanks! Good luck in the giveaway, darcybennett! Glad you enjoyed the post. I always enjoy author interviews, as I learn so much! Lovely interviews! Yay, for another anthology! Looking forward to reading it! Dung Vu, when we released A Very Austen Christmas, the plan was to see what happened. Readers enjoyed it! So we decided to keep going and write more. Good luck in the giveaway! Thank you, Dung Vu. I'm so glad you enjoyed the interviews. I fear I'm rather a boring individual. Good luck! Thank you, Dung Vu! Good luck! Ceri, thank you for hosting us. These interviews are great! Learned a few things about Wendi and Robin, I did. I second that. Thanks, Ceri! Yes, thank you for the opportunity to appear here, Ceri! A very enjoyable post and the book looks delightful. Many thanks for the generous giveaway too! So glad you enjoyed it, Tea Guide. Good luck in the giveaway! Thanks so much, Tea Guide! Good luck! Thank you for the kind encouragement. These anthologies are our way of introducing our writing friends to our reading friends. Good luck in the giveaway, Tea Guide. Ceri, What a delightful post. I enjoyed reading the author Q&A sessions and reading their bios. What fun. I have this book on my wish-list and would love to win a copy. I don't Face or Tweet so I was glad for the comment option so I could join in that growing list of hopefuls who wish to win a copy. Good luck to everyone in the drawing. Special thanks to the authors and the publisher for the generous giveaway. Blessings on the success of this work. I look forward to seeing what you guys do in the future. Have a Blessed rest of the new year. Thanks so much, J. W. Garrett! I'm glad you were able to enter. Good luck! J.W., I am just getting caught up with responses, as my work (school) computer does not have my Blogger info. Thanks for your kind interest in our "by-friends-for-friends" anthology series. It's fascinating to me to see the diversity in our stories. Yes, with these books I get to be both a contributor and a fan. Oh, and good luck in the giveaway, too. I enjoyed the author Q & A. It is nice to get to know the authors better. The stories sound intriguing. I am looking forward to reading the stories in this compilation. Thank you for the generous giveaway. Deborah Ann, thanks for your interest. The idea behind these books is to introduce our writing friends to our reading friends -- and there is enough variety here to have something for everyone. Good luck in the giveaway! I'm glad you enjoyed it, Deborah Ann! Good luck! I enjoy anthologies. I'm looking forward to reading this one too, Debbie. Thanks for a chance to win. I will read this one way or another. Thanks for all the bio information. I like hearing personal stories. Sheila, how lovely to see you here. I am working to get caught up with responses, as my week at school was (to use a modern phrase) slammed. Middle-school students returning after Christmas Break struggle a lot! Anyway, thanks for your interest in A Very Austen Valentine. I think you'll get a kick out of my Sir Walter Elliot story. It might not be the most romantic in the collection, unless -- ha! -- unless "self-love" counts! Hi Sheila! I have the honor of working with ladies who have written some really excellent stories - you'll enjoy them! Good luck! me too, Sheila. I love to hear more about the process, and about how authors came to be authors. It's always nice to know that little bit more about the authors who write the books we love. Congratulations ladies and I look forward to reading this! Thank you for a chance at the giveaway! 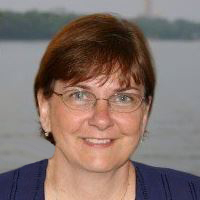 Carole, thanks for your kind encouragement and interest in our interviews. My life isn't all that interesting -- unless you come into my middle-school classroom and listen to the back-and-forth comedy routine -- so I try to make up for it with my storytelling. Thanks Carole! Glad you enjoyed it. You talk about teaching in middle school. There was one year when I was a substitute teacher for a middle school teacher who was on maternity leave. I found 14 years old students to be the most difficult as far as behavior...they were so mean to each other! I teach in a Christian school, Sheila, so the behavior is somewhat better ... but yes. Middle school -- and 7th grade in particular (which is what I teach) -- is most people's most terrible year of life. Ask just about anyone. It's all about getting attention, even at someone else's expense. Students are trying out sarcasm too, and they're not very good at it. "Mean" sums it up nicely. And yet, students at this age can be incredibly honorable and profoundly wise -- and the next minute, the worst selfish pigs ever. It's like sometimes even they are aghast at what what just came out of their mouth. This worries me a little to hear, as my elder child is currently in Y7 in school (which is equivalent to 6th grade in the US, I think) so I get to enjoy him being in 7th grade next year, and then my daughter being in that bracket two years later... on the bright side though, at least I only have two children to deal with rather than a whole class of them! Hi, Denise! Romance and mystery and misunderstandings and -- what can I say about my story? Snark, that's the word! -- it's all there in this anthology. Something for every reader. Thanks for entering the giveaway. I attended Delaware Co. Christian School from third through 12th grades. However, I have to say that in my class of 24 (16 girls, 8 boys) there was a group of MEAN girls: wealthier, better dressed, nicer cars, fathers' job were white collar vs blue collar like my father, nicer houses & neighborhoods, etc. So it happens even in environments where you would expect better. Mean girls. They spoil everything. I have only sons, so the girl drama I encounter is only at school. Most of our girls are quite nice, but there are those few who ruin things for everyone. Boys are noisy, but much less snide. Thanks for the great interviews. Congratulations on the release of this anthology. Thanks so much, KateB! Good luck!